With numerous restaurants, shops, and cafes opening their doors for dogs, it’s no wonder Chicago consistently ranks in the top 10 most dog-friendly cities in the US. Even the Chicago White Sox host an annual Dog Day encouraging fans to treat their dogs to a hot dog (among other shenanigans) at the ballgame. Here is a rundown of the dog-friendly spots you can’t miss next time you’re in Chicago. While it may not offer the traditional deep-dish pizza that Chicago is known for, this Italian kitchen is one of every Chicagoan’s favorites. Their expansive patio and weekly specials offer something for both canine and human diners. Be sure to order the Rustica Pizza. Many bars will allow dogs on patios, but few allow your furry friend to venture inside. This key difference is why Vice holds a prime spot on our list. Stop by to enjoy local brews with your dog, no matter the weather. Bonus: it’s only one block away from the famous Fred Anderson Dog Park. Dog owners from all over the city flock to the sandy shores of Lake Michigan at Montrose Beach every summer. While Chicago may not be known as a beach destination, off-leash play in the cool waters is a must for any dog who is young at heart. 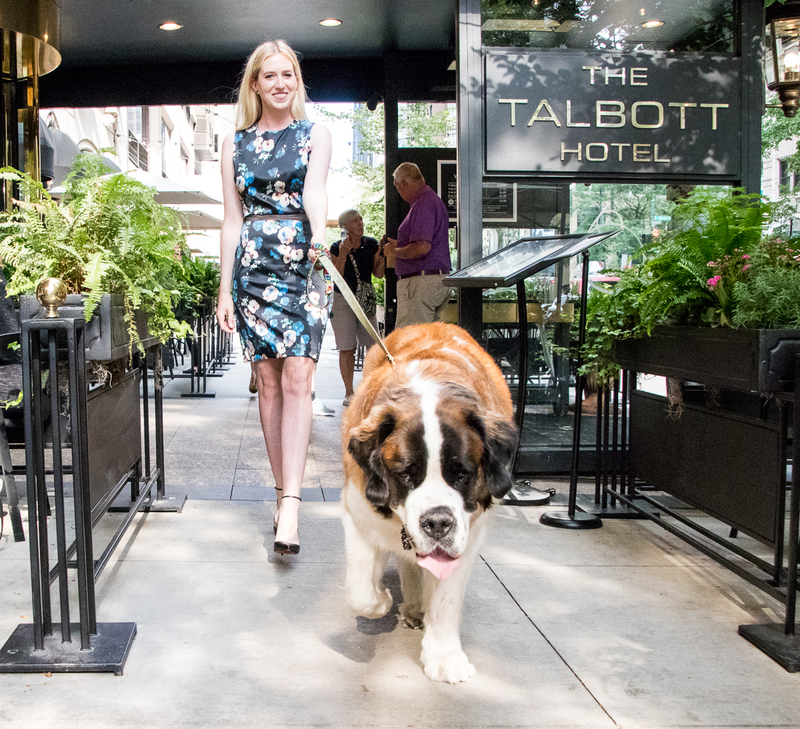 You can find many hotels in Chicago that welcome your four-legged travel companion, but the Talbott is one of the most accommodating. There are no weight or size restrictions, and the surrounding Gold Coast area is one of the most walkable and charming neighborhoods Chicago has to offer. What used to be an elevated railroad track on the city’s Northwest side is now an expansive walking park through six of Chicago’s distinctive neighborhoods. Along the trail you’ll find murals, historic landmarks, and gardens to explore. The path is 2.7 miles in total so lace up your shoes and leash up your pup to enjoy this scenic adventure. One of the most welcoming cafes to both canines and their humans, Red June offers a walk up window so you never have to leave your companion’s side. This café has a resident shop dog named Bo who is just as welcoming as the owners. They also may or may not give out treats to their favorite pups. How Much Sleep Does Your Dog Really Need? Christine Nendick is the founder of The Rescue Runway, a blog that combines her passions for fashion and rescue pets. When a career in veterinary medicine didn't work out due to her weak stomach, Christine found another way to help save lives by encouraging people to adopt. She lives in Chicago with her two foster fail cats and husband.